The role of the university campus is changing in subtle and important ways. Today, student ‘timescapes’ typically involve moving between places to work, study, sleep, eat, and play, and the boundaries between these places are now less distinct as wireless networks, laptops, smart phones, and iPads afford greater flexibility and mobility. Research by the BCFA (British Contract Furnishing Association) identified that the greatest factor driving investment in universities is the demand for higher specification learning facilities. 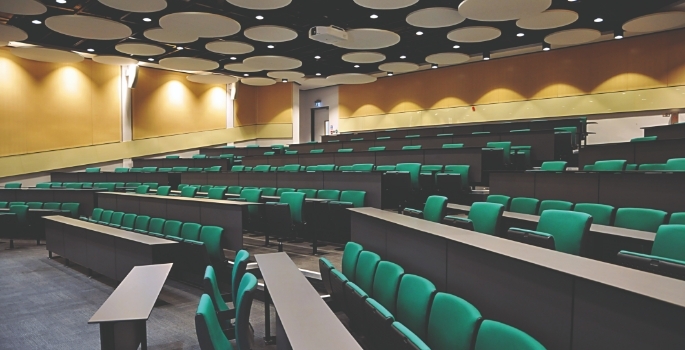 Why Is Lecture Theatre Design Important? 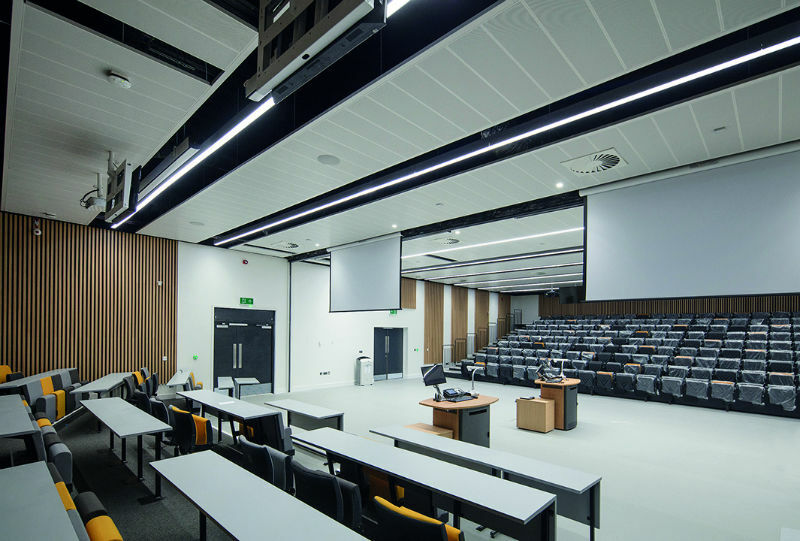 The design of a lecture theatre has a significant influence on the learning experience, it should be optimised for creating an environment which stimulates concentration and interaction and improves learning outcomes. A badly designed lecture theatre does the opposite of encouraging learning, causing even the most attentive of students to lose focus during the lecture. Ferco Seating solutions are intelligently designed and flexible – and engineered to withstand the rigours of busy lecture spaces. Seating ranges from traditional lecture seating with fixed writing tablets, to cutting-edge Harvard style, Collaborative Learning and Turn & Learn™ systems. Ferco seats offer ergonomic and postural support and can be upholstered in a huge range of fabrics to enhance any design scheme. Desktop and modesty panel choices compliment the chosen aesthetic. All Ferco seating has DDA provision to ensure full inclusivity. The Education Seating Collection can integrate fully with existing or additional power and data points. The product range aims to align with re-envisaged educational buildings and spaces. And in this dynamic period of change, Ferco are constantly innovating to provide seating solutions for enhanced learning environments.